Join us on a spiritual journey. 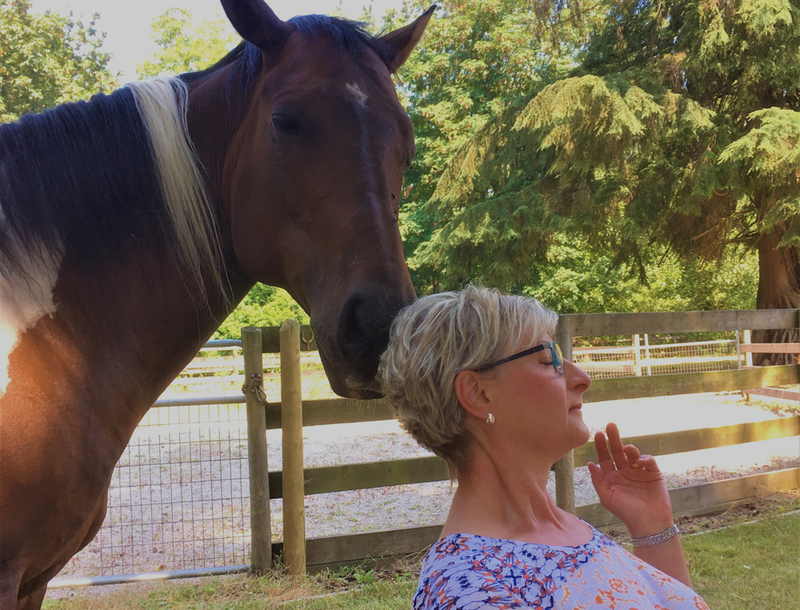 Tap into the rhythm of the horses’ presence and gentle hearts to deeply connect with your inner wisdom and intuition during our meditation circles. Horses possess the ability to act as conduits of connection to Self, to others and to our spiritual oneness, and can therefore deepen our meditation experience. We will be seated outside on chairs in a circle with one or two supervised horses. The meditation will be self-guided and the horse(s) will be free to move around us. They may elect to hold space for us from a distance or they may feel inclined to offer specific individuals energetic support. As co-facilitators in this process we will leave it up to them. (This is not a facilitated learning or healing session). Joining Krista and the Wisteria herd is Linda Chamut. Linda has studied the Inca Shamanic tradition over many years, in Canada, the USA, and Peru. Some of the teachings that Linda practices are: the importance of smudging to remove stuck energy and to promote clarity, creating sacred space for gatherings to support higher purpose focus, and teaching the importance of centering and grounding in meditation and in life. WHAT TO EXPECT: 10 am start (please arrive 10 minutes early) We will begin with a smudging ceremony as participants arrive. Introductions will open our circle, followed by a brief explanation of how horses deepen our meditation experience. The group will then be lead through a grounding exercise as we begin the 30 minute self-guided meditation to the gentle beat of a shaman’s drum. Following the meditation, there will be time to journal and share your experience.